Home > Categories > Residential Services > Storage > Armadillo Storage Co. 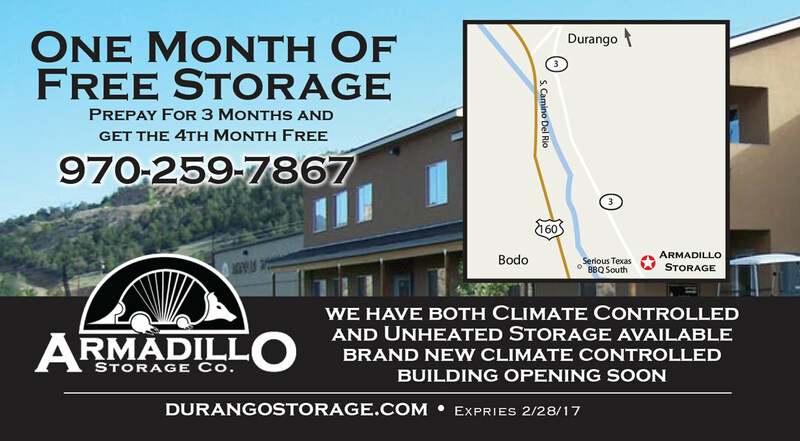 Dubbed “Durango’s newest and cleanest storage facility,” it could also be tagged “Durango’s safest storage facility.” Indoor protection includes ample lighting and climate-controlled atmosphere: a perfect and private place to store valuables, business records, and sensitive materials. The bottom line is your precious possessions will be protected from all elements and all beings by man-made "suits of armor." The site is fully paved, providing easy access for all vehicle sizes. 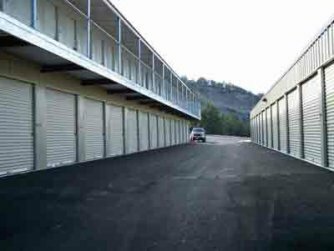 There are even loading bays for those renting warehouse units. A wide range of unit sizes, from extra large to extra small, allow renter’s to pay only for the square footage they need. Preserve the value of your “prized ride” by keeping her safe in a fully-contained weatherproof unit with drive-in access. Is your RV or boat too big to fit inside? Cover her up and tuck her in, in the secured outdoor area. Storage of any persuasion is available! Short term or long term (Ask about discounts), toys or commercial goods, sailboats or canoes, permanent or portable units; it’s all here. There is something to be said for being the new kid on the block. Armadillo Storage provides what others simply cannot.